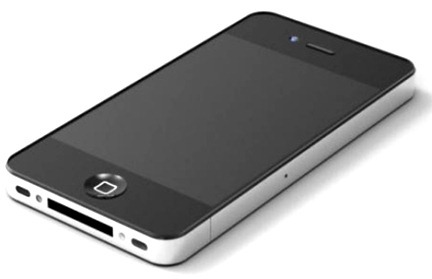 A new report claims Apple’s next iPhone will be called the iPhone 4S, and it will feature ‘minor cosmetic changes’. Business Insider reports that Jefferies analyst Peter Misek has put out a note on the next iPhone, claiming Apple will go for the ‘iPhone 4S’ moniker rather than go straight to iPhone 5. Misek also lifts the lid on specifications: the iPhone 4S will include the dual-core A5 CPU just like the iPad 2, as well as improved cameras front and back. HSPA+ support will also be present this time around, while cosmetically not much will change, though ‘minor’ alterations are expected. Of particular note are Misek’s remarks that the iPhone 4S will incorporate radios that make the handset compatible with Sprint and T-Mobile in the United States as well as bringing the handset to China Mobile. A T-Mobile version had been rumored before and Sprint support is a new one on us, though not entirely surprising. Misek also reports Apple did intend to go for the 4G jugular with the iPhone 4S but the hardware was deemed to not be ready just yet, meaning the company opted to go for a more modest model update this year. Reports of multiple prototypes being tested have been doing the rounds for a while now, and it’s possible Apple has been testing a 4G iPhone but ultimately decided against it. Analysts have been wrong before of course, and there are no reasons to believe this particular one is spot on with all his information, though equally there is no reason to distrust him either. The only fact we find ourselves not sure of is the claim Apple wanted 4G in the next iPhone, despite ‘real’ 4G not being rolled out by carriers properly just yet. Remember, this is the same Apple that brought the first iPhone to market with no 3G radio because they deemed it too early.